EvilVigilante.com - Definitely closer than it appears! Definitely closer than it appears! 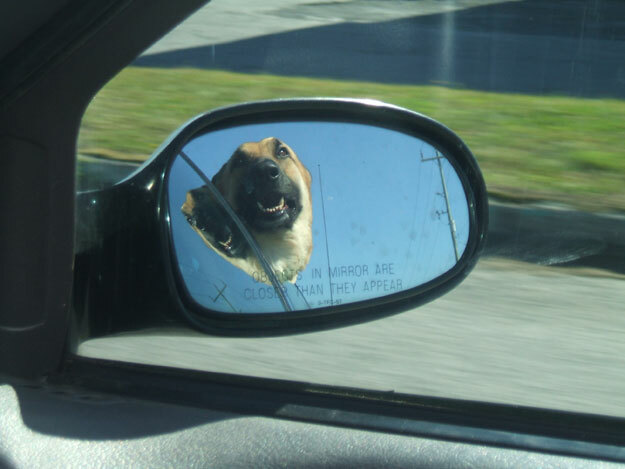 Objects in mirror are closer than they appear indeed! The above is a great picture taken of Erika's dog, Reuban (Uh, Reuben, but I guess Canadians can't afford extra e's). It wasn't photoshopped in any way either. Creepy! Credit to Erika's brother for the picture.